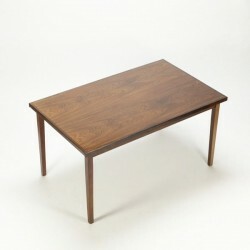 Large extandable dining table from the 1960's. 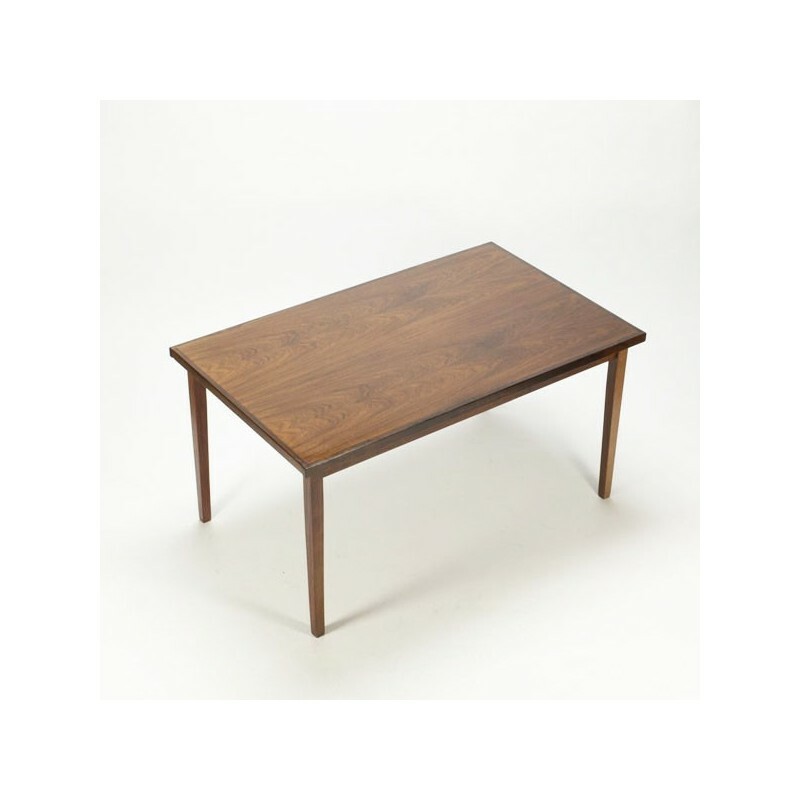 The table is manufactured in rosewood and has a extra top of 50 cm in lenght which can be stored under the tabletop. The condition of the table is in a good , see also the detailed pictures, only the extra blade is darker colored. The dimension is 140/190 cm L/ 85 cm W/ 72 cm H.